I received the best gift I could ever hope for, on Nochebuena (Christmas Eve) – time with Papi, Mami, Hubby, Brother (PSM), Sister-in-Law, 2 Nephews and our Niece. Later today (Christmas Day) we will spend time with my Mom-in-Law and Hubby’s extended family. We exchanged funny cards and gave the kids the “Harry Potter” boxed set collection. Nothing is better that time with loved ones. Several years ago, we decided to only give gifts to the kids and enjoy the joy of watching tear open their presents. It keeps the focus on our family and we love it! Hope the spirit of the season fills you with joy. This entry was posted in Blogging, Christmas, Food for Thought, Generations, Gratitude, Hispanic, Holiday, Latina/Latino, Music, Spirituality and tagged Christmas, family time, Navidad, Panama. Our family, on Hubby’s side, likes to celebrate birthdays by going out for pizza. We exchange funny cards – always funny cards, nothing sentimental or thought-provoking, please. Everyone orders their favorite beer or wine, salad, and the Birthday Boy or Girl chooses the pizzas we will eat. We always have a wonderful time because, as middle-aged adults and senior citizens, we prefer to focus on each other and celebrate another milestone together, rather than on gifts. Today, we celebrated BL who is one year closer to retirement and is counting down the days. 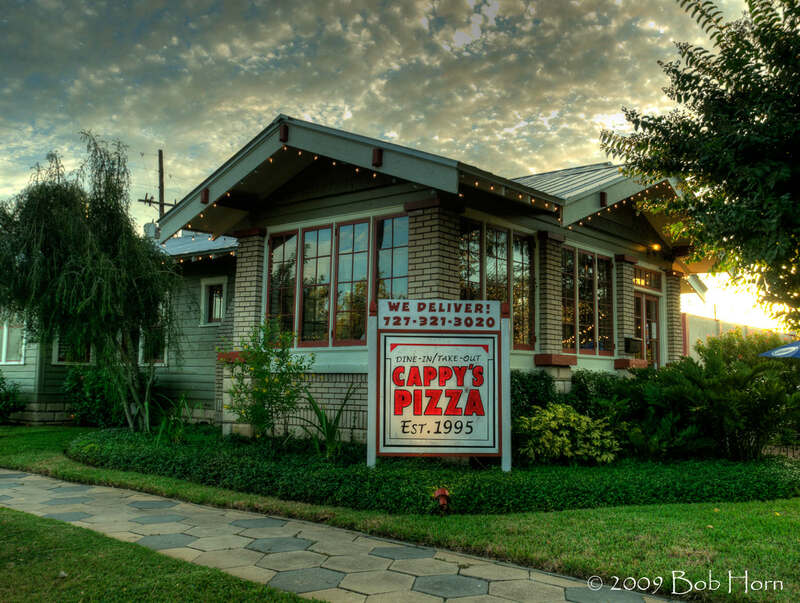 If you are ever in my area of the world, visit Cappy’s Pizza, a local joint that makes the best Chicago-style, deep dish pie in Florida. This entry was posted in Blogging, Food, Gratitude, LIfe, Pizza, Thai and tagged 30 days of thanks, birthdays, cappy's pizza, family time, Florida, gratitude, milestones, pizza, st. petersburg.